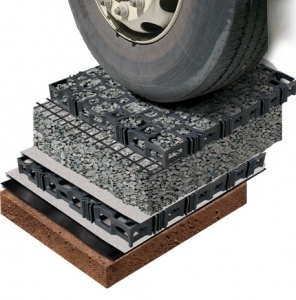 Atlantis 52mm Road-Cell® reinforcement structure creates a durable hard surface suitable for medium to heavy loaded traffic areas. The cells can be used in any situation where heavy loaded traffic areas and surfaces, access roads are required. This includes access roads, fire trails, pathways and mining roads and trails. The cells can also be used for the construction of swales to collect rainwater and direct water to surface infiltration areas such as Atlantis underground infiltration channels. The sub-base required for cells is equal to or less than the sub-base required for concrete or bitumen. 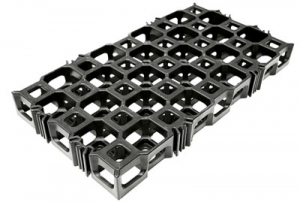 Elimination of the traditional stormwater system required by impermeable carpark installations provides an immediate cost saving when installing Turf Cell® or Gravel Cell® pavers for the same application. 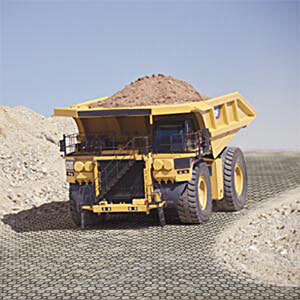 The heavy duty Road-Cell® reinforcement structure is ideal for access roads at mining sites.